Multi-trip packaging items such as containers, stacking pallets and skeleton transport boxes keep everything neat and tidy on the site, minimise the time wasted searching for parts and streamline the storage and transport of system components, small items and accessories. 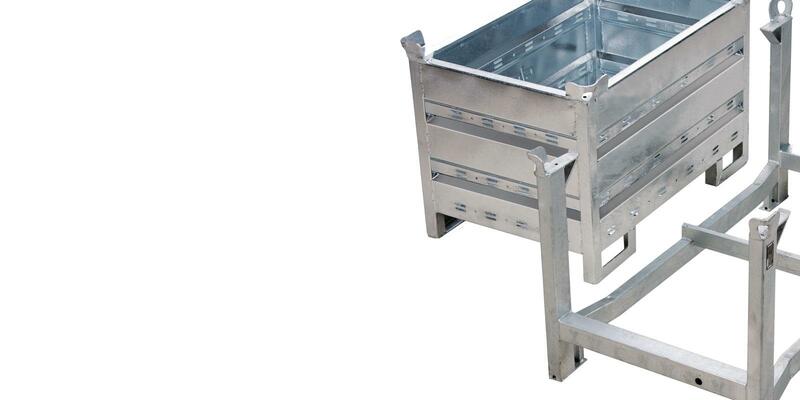 The stacking pallets simplify the storage and handling of floor props, folding tripods, formwork beams and sheets. The skeleton transport box is the tidy way of storing and handling lighter accessories (max. load 700 kg). For heavier accessories, there is plenty of space for these in the Multi-trip transport box (max. load 1500 kg). Thank you for your interest - Multi-trip packaging. Thank you very much for your interest - Multi-trip packaging.